Do you remember what it was like to have your first ever taste of birthday cake as a child? This was the happy experience of 5-year-old Jantima, who is one of the children participating in Creating Balance Foundation’s ‘Bird’s Nest’ foster family project at Baan Pong Nam Ron on Doi Hang mountain in Chiang Rai. It was, in fact, Jantima’s very first day staying at the foster home, so you can imagine her surprise and delight at being able to join in such a festive event. 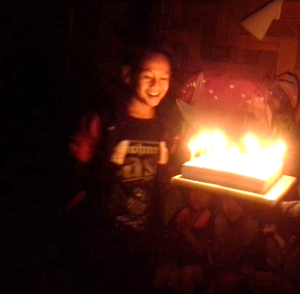 The occasion was Jador’s 14th birthday. Jador is from a mountainous Lahu village in Chiang Rai. Cut off from access to school as a result of the village’s remote location and lack of family funds for transport, his prospects for receiving an education were very low until he came to live at the Bird’s Nest. 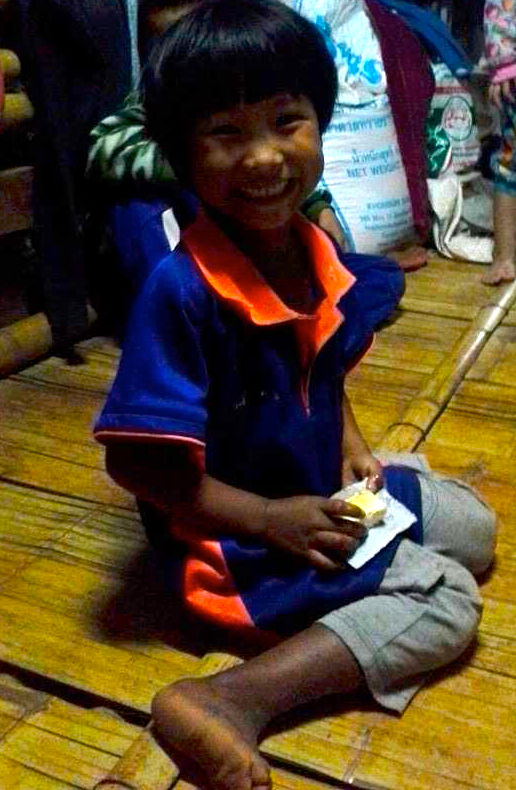 Now, he attends a primary school a short walking distance away from Baan Pong Nam Ron with the rest of the foster children and is doing very well. His grandmother and some friends came all the way from his home village to join in the festivities and celebrate Jador’s birthday with him. Every child who lives at the Bird’s Nest gets to have a birthday party, organised for them by our coach, Minta. Dinner that evening was a meal of mieng plaa tuu, or mackerel with lettuce, herbs, and rice noodles. It was a simple but nutritious meal for the children, who had fun wrapping the fish up with lettuce and dipping it in spicy sauce. There was also a big birthday cake with the Chiang Rai United logo on it as the kids are avid football fans. After coming from such desperate poverty and neglect, it’s amazing how much the children thrive with the love and attention of their foster brothers, sisters, grandmother and grandfather. Now…who’s birthday is it next?